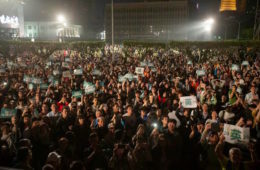 SHANGHAI IN THE last month has seen massive mobilizations, some reports of which claim that up to 50,000 participated in environmental demonstrations against the building of a chemical plant. This has not at all been reported upon in western media, although details in Sinophone media are also sparse, with few Chinese media reporting upon the event, and media from Sinophone countries and territories on the periphery of China as Taiwan or Hong Kong largely attempt to gather information from social media or micro-blogs. Seeing as China is probably the most significant East Asian country where global affairs is concerned, it is surprising that to date, there have been little to no reports on what occurred in the past week with a series of demonstrations in the western world. It is especially strange that this the lack of media coverage has been the case when this has been a news development across a week. 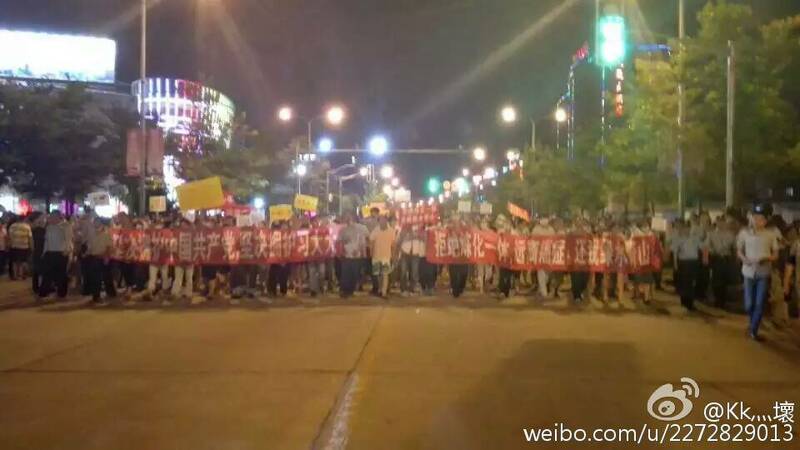 The past week of actions dates to June 22nd, when a demonstration in which protestors occupied the space outside the Jinshan District Government in the suburb of Jinshan, Shanghai. 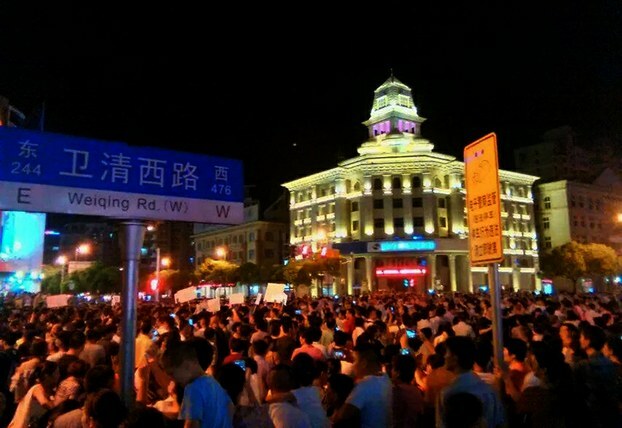 Protestors stayed overnight and participated in large-scale marches at night, though accurate counts of how many protestors were present on June 22nd are hard to come by, with some claiming hundreds and others thousands. It is claimed that 30,000 to 50,000 mobilized on the night of Saturday, June 27th, the peak of demonstrations to date, but that the arrests of demonstrators on June 27th in a police action which involved the use of at least three police buses seems to have put an end to the current set of events, as protests have largely died down after June 29th. Images exist of police pointing guns at demonstrators and of demonstrators flipping over cars. 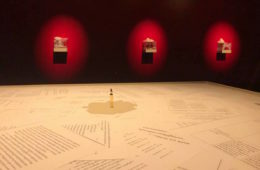 Details are hard to find, as a product of police recording the names of participants, and destroying the documentation which had been produced by those who photograph or document events. 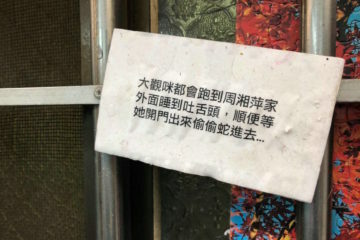 However, it seems that reports are trickling into Sinophone media outside of China only now, largely through a set of Internet memes written in traditional Chinese which became popular in Hong Kong and Taiwan social media networks. 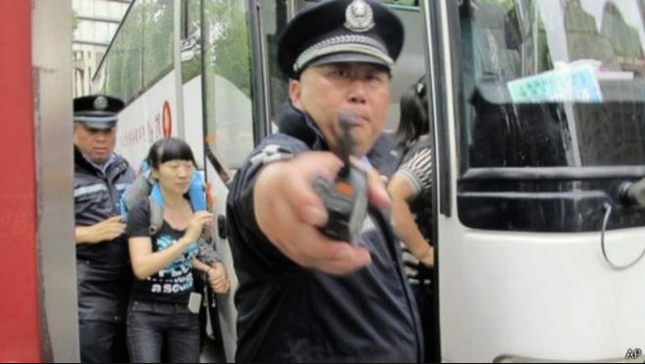 Actually, where western media, such as BBC—or it’s Chinese section, anyway—were in fact present, reporters was forcibly driven out by police, and the story was not picked up on. English-language reports exist from Shanghaiist, Radio Free Asia, and others, but are likely reliant on secondary sources. 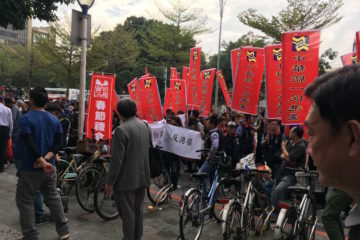 Protestors were demonstrating against the building of a PX chemical plant in Shanghai, despite government claims that such a plant was not being built. PX, or paraxylene, is a chemical used in plastic and polyester manufacturing which is a major contributor to air pollution in China and can be hazardous to human health when released into the atmosphere. Deaths because of air pollution in China is estimated from anywhere from 500,000 to 1.2 million deaths a year. 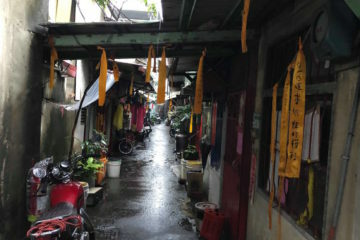 But directly inflaming of public opinion in past days in Shanghai was likely is that after the release of a environmental assessment report on June 23, the government declared a temporary halt to environmental assessment work, apparently because the public results led to public backlash and the government wished to avoid controversy in the future. Where playing up policies which point to the need to remedy China’s environmental policies has worked quite well for elements of the Chinese government in the past in winning the favor of the people, it would appear that when the demand of the people for reform becomes too heavy, the government retrenches on its promises. Indeed, air pollution has a major issue in the past year, as seen in the release of the documentary Under the Dome and its subsequent popularity, and we can also understand the outbreak of protests in Shanghai as also reaction to the broader national issue of air pollution. 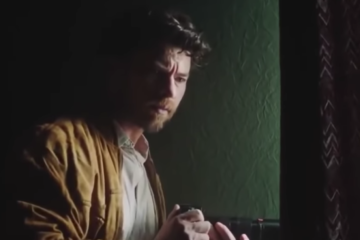 But once public backlash grew out of control, the documentary was banned. We can more broadly see this as tendency in Chinese government policy regarding when demands of environmental justice are made by the people and grow out of control beyond what the government can handle. PX plants are especially unwelcome in China because they release PM2.5, a particle which contributed to a higher rate of death than the amount of deaths from smoking, and to which deaths from air pollution are sometimes largely attributed. But PX and other chemical plants have also become unwelcome because of large-scale injuries and disruption caused from plant disasters. 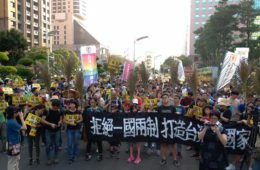 PX plants have been the object of large-scale protests in the past, for example, where thousands demonstrated against the planned building of PX plants in Guangdong in April of last year, protests turned violent with police action and the deaths of several protestors. The explosion of a petrochemical plant that produced PX in Fujian in April of this year also led to the injuries of hundreds and the evacuation of over 30,000. Of course, these incidents, too, were underreported on in western media. Why Would Events in Shanghai Not Be Reported on in International Media? SOMETIMES IT ASTOUNDS as to what makes western media and what does not. To be sure, if we examine the history of social movements in Asia from the beginning of the 2010s to the present, it would appear that only Hong Kong’s Umbrella Movement seized the attention of the western world. 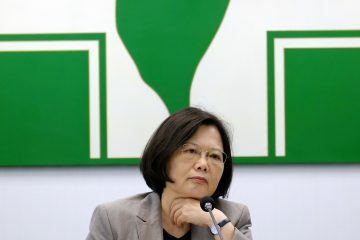 Taiwan’s Sunflower Movement, the Japanese anti-nuclear movement of 2012, and the first Occupy Central which took place in Hong Kong on 2011 largely did not. 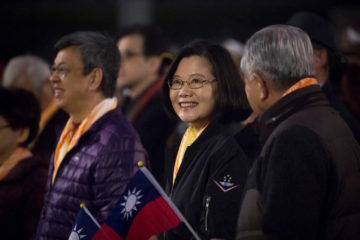 Taiwan’s inability to attract international attention has largely been attributed to Taiwan’s general international obscurity, despite that the height of the Sunflower Movement drew 500,000 onto the streets of Taipei. But along such lines, it is hard to understand why the Japanese anti-nuclear movement did not attract international attention given Japan’s prominent international status and that the 2012 Japanese anti-nuclear movement was the largest social movement since the turbulence of 1960s student movements, bringing out 80,000 in Tokyo in July of 2012. 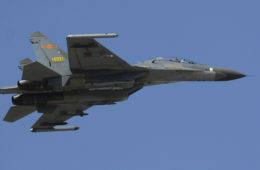 Yet where China is very likely the most globally influential East Asian country of them all, one is amazed that the events of the past week have not been widely reported on. 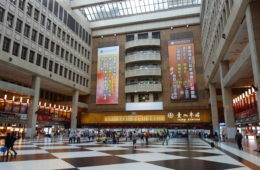 It may be that Hong Kong was a “perfect storm” situation where widespread reporting of the Umbrella Movement was concerned, given that too many western journalists which the Chinese government had driven out of China had taken up residence in Hong Kong in order to keep reporting on China from afar. But can it be that in as cosmopolitan and international a city as Shanghai, there are not enough western journalists to report on the event? Probably not. We can speculate on several reasons as to why events are underreported on. Firstly and most obviously, we can point to the existence of censorship on the part of the Chinese government and where it impedes coverage of political sensitive events both within China and outside of it. However, pertaining to western media, western media is always pushing the limits of censorship to be allowed to report from within China to begin with, and western media can sometimes be self-censoring where sensitive topics are concerned because there is a need by journalists to maintain the Chinese government’s permission to be allowed to remain within China. Is that the case here? Maybe not, since western media tried to report on events, but was instead forcibly and violently driven away. But this is a broader problem of western journalism as well as academia concerning China, and arguably its existential dilemma. After all, as is well known, with no visa to continue reporting on or researching in China, reporters or academics would quickly find themselves out of a job, leading to a certain degree of self-censorship. Even then, however, it is surprising that this set of events in Shanghai did not become a prominent news item after western journalists where driven away. Second, as to an explanation of why an event occurring in as central a location as Shanghai and with as large participation as 50,000 people was not reported on, it is likely because western journalism has an inability to distinguish the relative scale of social movements. As should be noted importantly, counts of the amount of demonstrators in Shanghai in western media reports were of “thousands” rather than “tens of thousands.” But with the limited ability of western journalism to perform crowd counts in China, it is hard to determine how large a demonstration is and, therefore, how significant it is. As any experienced demonstrator will know, no matter how large a protest is—even if it is in the tens of thousands—that protest has a way of dissolving into urban space once one is a few blocks away. 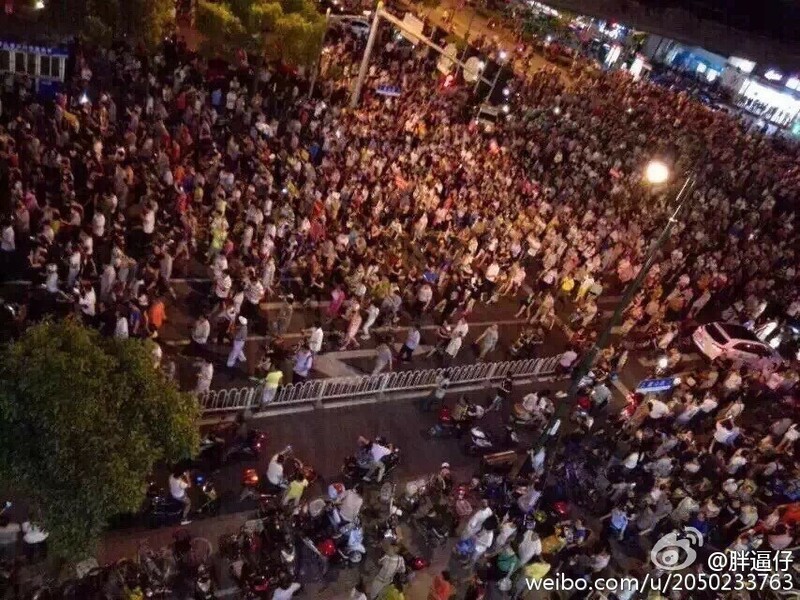 And demonstrations in the thousands are a fairly regular event in China and elsewhere. It is likely western journalists were unable to gauge the size and the significance of the protest as a result. 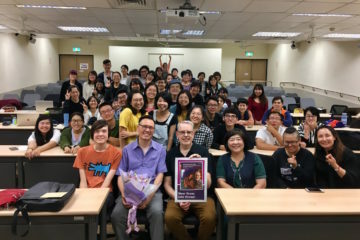 With Hong Kong’s Umbrella Movement, at least western journalists could point to the its significance irrespective of how large it actuality was, given that the Umbrella Movement would clearly have a significant impact on China’s future relation with Hong Kong and other territories on its peripheries but not part of China proper. 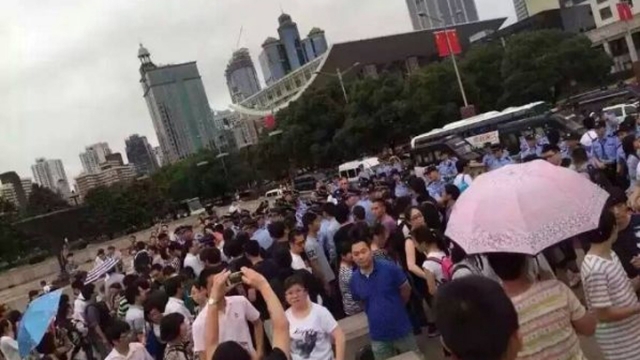 This was not so of the PX protests in Shanghai, which seem like purely a domestic matter to China. And so the lack of reports on the PX protests in western media led more broadly to a lack of reports in international media. AT THE END of the day, regarding the PX protests, they are in fact an international matter rather than a domestic Chinese one. 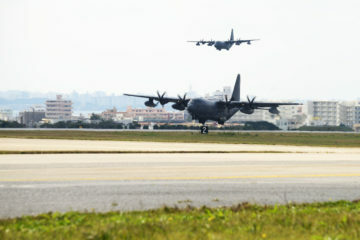 To begin with, environmentalism is a global issue where the environmental pollution produced in Chinese factories ends up elsewhere; certainly, the air quality in Taipei has been affected in the past several years, but pollution ends up reaching as far as the West Coast of the United States. But rather than blaming China for negatively affecting other countries, as some have, we might point to the international nature of the problem and how any attempt to address it needs be transnational in nature. 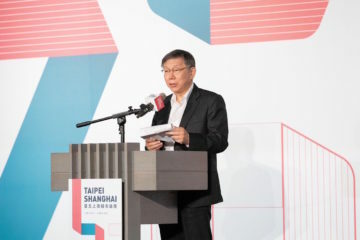 It is, for example, interesting to note that with PX protests, there are reports that Taiwanese companies were singled out for blame, given that the owner of the PX plant slated for construction is infamous Taiwanese industrialist Chen Yu-Hao. 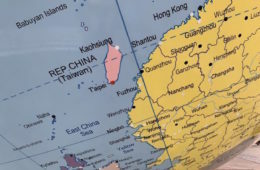 The problem at hand is, of course, beyond Taiwan, China, or any other nation when the source of the issue is the ideology of developmentalism, pervasive to rampant and unchecked capitalism, in which profits and production quotas take priority to any human costs, and the international industrialists that profit off of such human suffering. 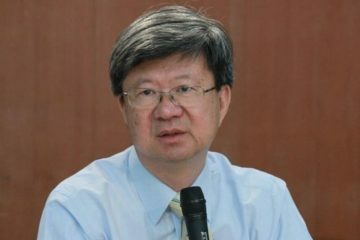 This is pervasive in East Asia, particularly where the close relation between the private and public sector leads to industrialists having an undue ability to influence government policy, as we see in the case of China where the government bends itself backwards to make way of industrialists. 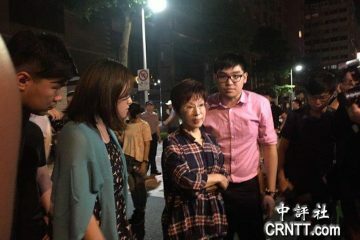 And we see this in regards to Chen Yu-Hao himself, a tycoon with close ties to President Lee Teng-Hui, Shih Ming-De and other powerful political figures and a bitter opponent of President Chen Shui-Bian whose investigation actually led Chen Yu-Hao to flee to China after large-scale embezzlement scandal. 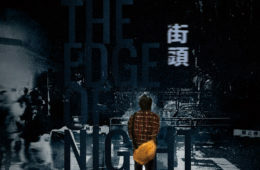 In this respect, Chen Yu-Hao is a figure emblematic of where the Taiwanese state, too, has in the interests of developmentalist ideology, made way for the unchecked profit motive of industrialists, irrespective of the human cost. But Chen’s greed spans borders. 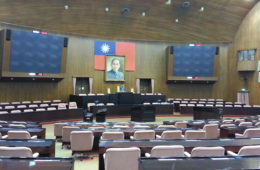 Chen’s infamy lies, after all, in that he developed close ties with both Taiwanese and Chinese politicians so that they would grant him special privileges for his businesses. Chen Yu-Hao may be a figure emblematic of the times, where his unchecked greed transcends international boundaries and the Chinese and Taiwanese governments were willing to make allowances for an individual such as him in order to stimulate “economic development”. 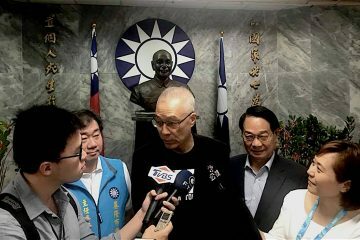 We can say much the same about other Taiwanese industrialists who contribute to unchecked capitalist brutality in China as Terry Guo, the owner of FoxConn, who is, after all, a major supporter of the KMT. Chen, Guo, and their ilk are enemies of the Taiwanese and Chinese alike, rather than enemies of any one particular nationality or another. 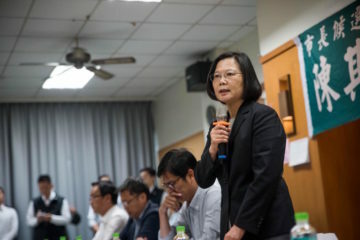 Indeed, with Chen and Guo, we can very clearly see how pro-business industrialists such as they are figures of the Taiwanese right wing, given their general affiliation with the KMT and the developmentalist state ushered in by KMT economic policies. It is fundamental, then, that where the problems of the environment cross borders and are the product of developmentalist ideology and international capitalism, they must be addressed on an international basis. But how are we to arrive at the awareness of that these concerns are international in nature? Attempts to raise awareness in Taiwan and Hong Kong through Internet memes which have circulated through Taiwanese civil society in the last few days are a beginning. But this is what remains to be seen. Looks like a typo. Fixed!